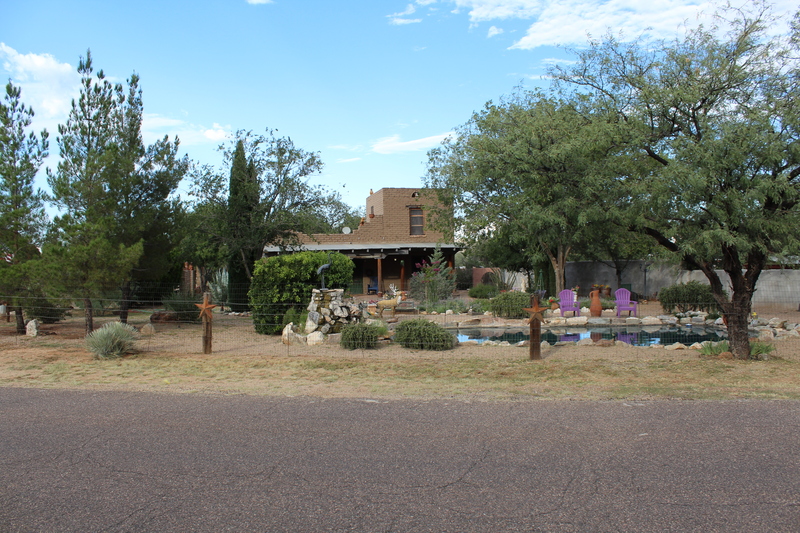 Hidden Oasis (A Bed and Breakfast Community) – Peaceful and Beautiful Bed & Breakfast in Arizona. This "Hideaway Retreat" is just one click away from your peaceful vacation! Peaceful and Beautiful Bed & Breakfast in Arizona. This "Hideaway Retreat" is just one click away from your peaceful vacation! Lays cozily nestled amongst the Dragoon Mountains, approximately 45 minutes east of Tucson Arizona, and 2 hours 30 minutes from Phoenix Arizona airport. 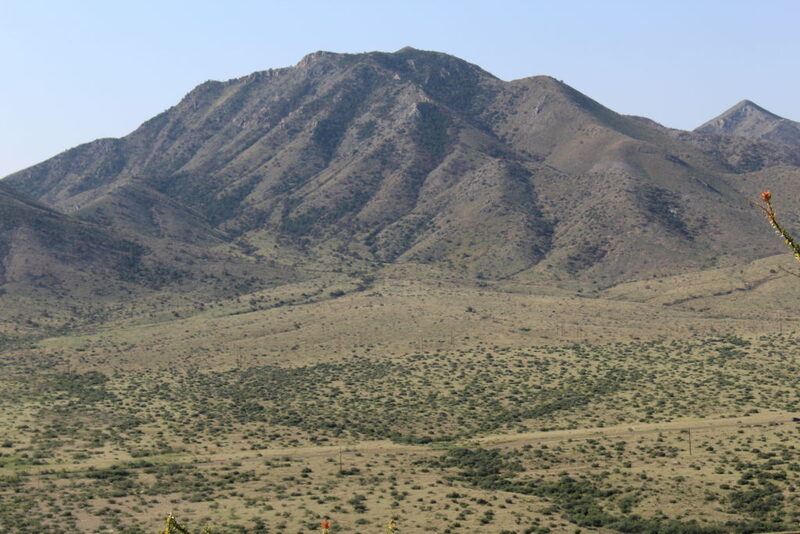 With an elevation of 4700 feet, the air is fresh and breezy, and the views are spectacular, with mountains peaks in all directions. The property has a variety of mature trees and shrubs, seasonal flowers and gardens, and two decorative ponds, creating a true hidden paradise. In addition to the Main House, an Adobe structure with a charismatic medieval look & feel, the property boasts 3 unique guest Casitas. The first, located under a canopy of trees a short distance behind the main house, has two bedrooms, kitchen, and bath. The second and third each have one bedroom and full bath, one with a complete kitchen. These Casitas share a covered patio with awesome mountain views. Also on the property is a Church originally dating back to the 1890’s. Over the years many couples have taken advantage of the setting to create a one of a kind marriage ceremony. A tree house overlooks the property, along with other rustic buildings. Coming soon, we'll also have a gem mining flume set up on site, affording young and old the thrill of sifting for gems and minerals native to the area. Hiking, Cycling, Horseback riding, Vineyards, Wine tastings, Museums, Sightseeing, Fishing, and more are all to be found in close proximity. Only 2 miles away is an old time saloon, open on Saturday nights, featuring live country western music. Of course, you may simply choose to hang out, playing croquet, pitching horse shoes, or simply resting and relaxing while remaining on the property, lounging near the pond or any of the several comfy sitting areas, and escape from reality for a while. At Hidden Oasis B & B our hope is that you’ll find this hideaway retreat one of the most "Uniquely Peaceful” places you’ve ever visited. To book from AirBnB please follow this link! To book on TripAdvisor please follow this link!